This week's Computex computer industry conference in Taipei will see Microsoft making a larger push to grow adoption of Windows RT, Bloomberg reported on Monday. The operating system currently holds less than a percentage point of market share, according to IDC. Smaller tablets in the vein of Apple's iPad mini are apparently the Windows RT form factor of choice for Microsoft going forward. The price cuts for RT will be targeted toward that device segment. Microsoft will also try to grow consumer interest in Windows RT by improving the email capabilities built into the system. While sources familiar with the company's plans were able to confirm the licensing fee cuts, Bloomberg notes that none were able to tell just how much manufacturers would be paying to license Microsoft's alternative system. Released alongside Windows 8 in October of last year, Windows RT was meant to give Microsoft a foothold in a mobile device segment dominated by Apple's iOS and Google's Android. Instead, Windows RT hit the market with a thud. 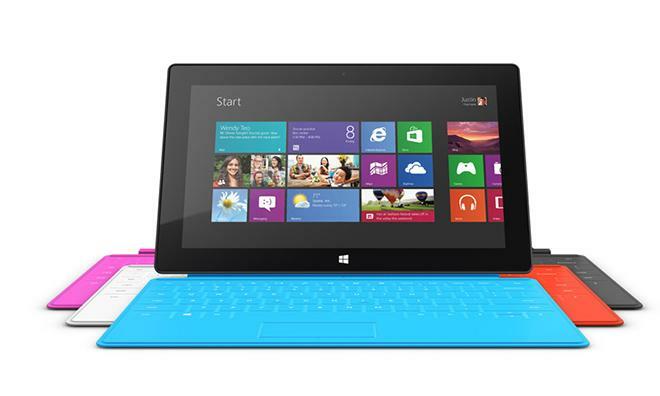 Reports had consumers confused by the platform's naming and styling, which are similar to Windows 8. The latter is able to run legacy Windows programs and runs on x86 chip architectures, while the former runs no legacy applications and runs on ARM chipsets. Indeed, the only relatively successful Windows RT device to date has been Microsoft's own Surface RT. That device, though, has seen slow adoption, and Microsoft recently gave it an effective price cut by throwing in a $100 keyboard cover for free. Other device manufacturers  including HTC, Acer, and Asus  have largely abandoned Windows RT as a platform, and some players in the PC industry are said to be less than happy with Microsoft for failing so far to give them a viable means to compete with Apple's iPad. Samsung, for example, nixed its plans for Windows RT tablets in the United States, citing "modest" demand for the platform. Acer chairman J.T. Wang, who will often speak plainly regarding business matters, was less charitable than Samsung in speaking about Windows RT. "We have some R&D projects [involving WinRT]," Wang said on Monday, "but we will be very, very cautious in deciding whether we will do the launch and mass production." Wang went on to call the Windows RT platform "very immature." Other manufacturers appear to still be cautiously optimistic, or at least committed to releasing devices they've already developed. Dell is working on a Windows RT tablet, and HTC is working on a 7-inch device running the system. Beyond those, though, hardware companies are less specific on their plans going forward.